Main Creek Restoration – A Plan in Action! In response to the Wallsburg CRMP Project restoration work began in 2012 along Main Creek to improve its water quality. The basic premise of the various restoration projects identified in the CRMP is to improve ﻿the stream banks so they can better resist erosion and also filter out pollutants from surface runoff. Also, the channels of the streams are being reconfigured to better handle flows so that erosion can be reduced, fish habitat can be restored and irrigation facilities improved and protected. By the time the various projects are completed, sections of Main Creek, Little Hobble Creek and Upper Spring Creek will all be restored. The Final Wallsburg Watershed Improvement Project Report can be downloaded to get all of the details. Conservation practices and restoration practices. Improvements are estimated to cost about $554,100. Conservation buffers, which are strips of riparian vegetation placed to provide ecological protections and benefits. Work recommended to implement conservation practices in the watershed totals about $367,200. Specific restoration activities on the Beesmark section (reaches 25–29) of Main Creek began in 2014. Work included re-grading vertical banks, restoring plants along these banks, and reshaping short sections of Main Creek. Fencing will prevent livestock from trampling or grazing banks and water troughs will be placed in the pastures to provide the cattle access to fresh water. See video above. 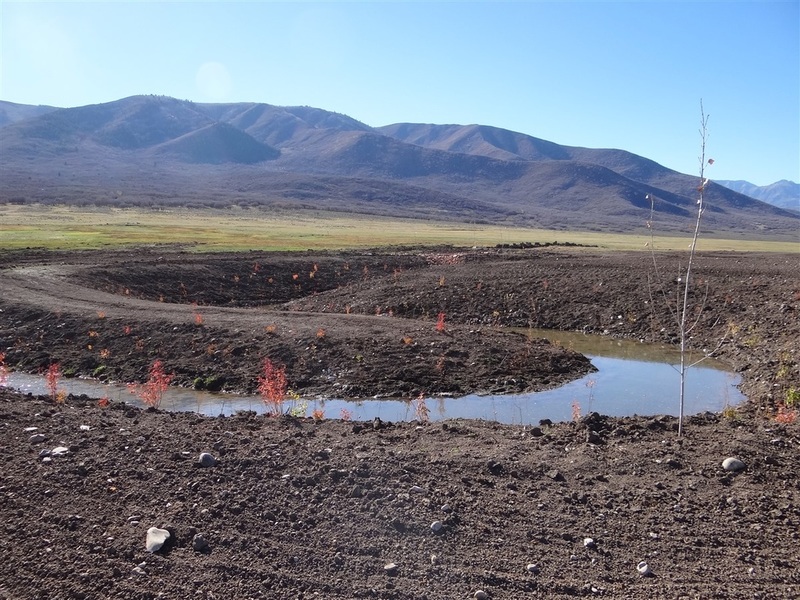 It is anticipated that these projects will help protect Deer Creek Reservoir by reducing the nutrient and sediment loads coming from Main Creek. At the same time, the streams should be cooler and less turbid, which will provide better fish habitat among other benefits. To track the progress of these activities, the Division of Water Quality will monitor the streams at eight sites throughout the watershed every six weeks over the course of three years. In addition, a research project at USU will evaluate how well the restored banks filter out pollutants in the runoff, and students at BYU will conduct additional monitoring as part of a class activity. One such study is Applying a Phosphorus Risk Index in a Mixed-Use Mountain Watershed by Josiah Johns, Austin Pearce, David Robinson, and Neil Hansen at Brigham Young University. This study identifies the major contributors of phosphorus to the Wallsburg watershed and develops an index to identify areas with high risk of P movement.